If you ever needed proof that government is collapsing, here it is live and in full color. Freshman Congresswoman Alexandria Ocasio-Cortez (D-N.Y.) was just placed on the House Financial Services Committee. Who is the Chairperson? 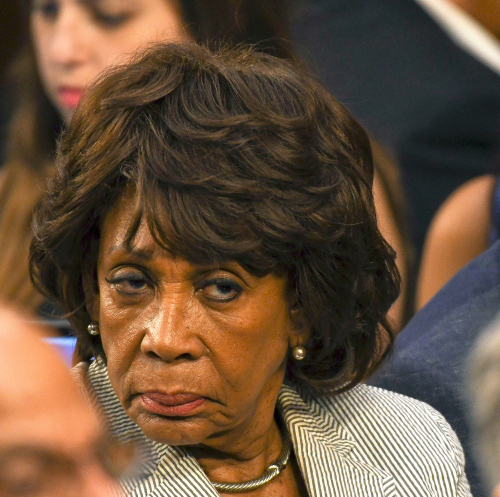 None other than the controversial Maxine Waters (D-Calif.). We now have two people with absolutely NO expertise in this field going to overlook banks and Wall Street. This illustrates the entire problem and crisis we face. This is like directing me to operate as a Brain Surgeon without any consideration if I even understand the field no less have any experience. We can count on wild and crazy statements coming from this committee that will disrupt the world economy and confuse the hell out of people. It certainly appears with every step we take, we are moving in the direction of a complete collapse in confidence. I can’t imagine the bond market will survive comments coming from these two pillars of financial stupidity. You cannot be the boss of people in an office if you do not even understand what the work is all about. Waters served in the California State Assembly, to which she was first elected in 1976. She was elected to Congress in 2013. Here too, she has worked in politics only. 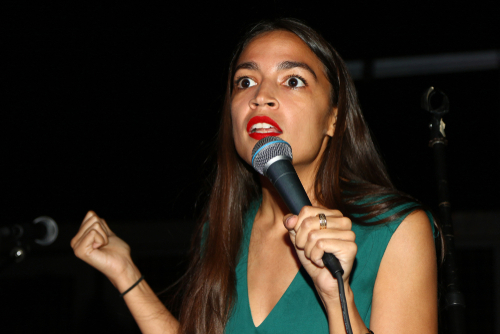 Neither her nor Ocasio-Cortez have any experience in the financial industry. 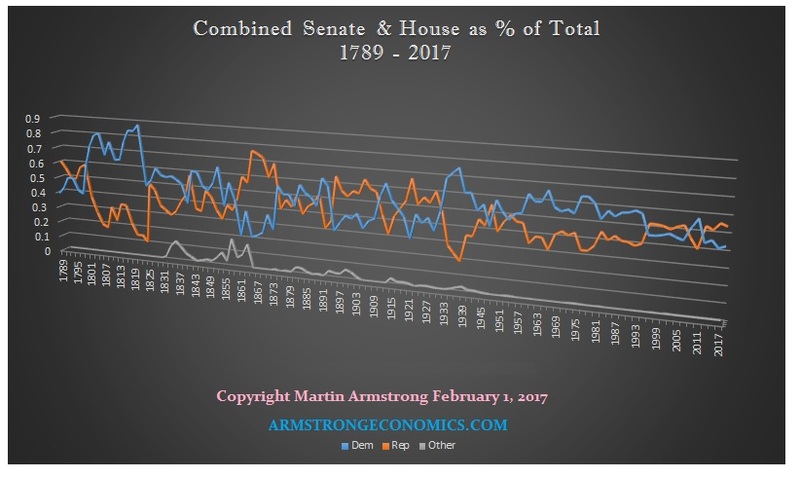 The computer continues to show that both parties will decline and a third party will rise from the ashes. 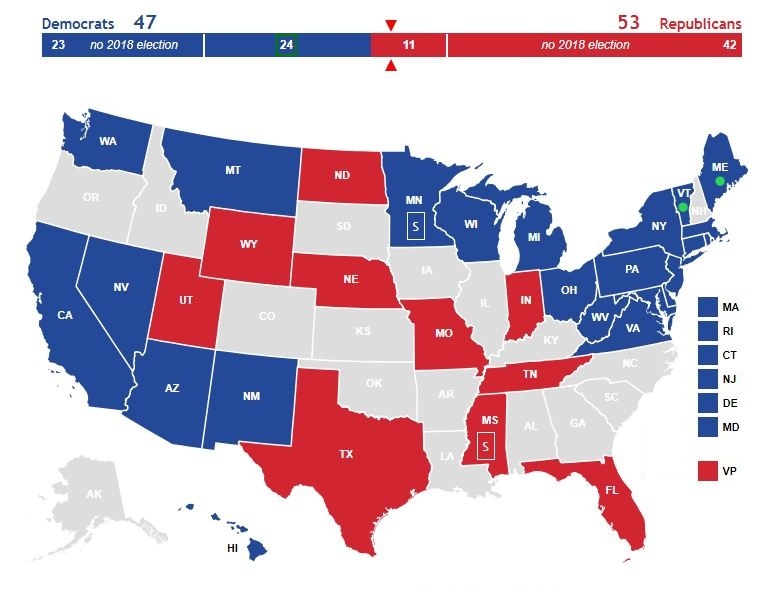 We warned that we have a Bearish Reversal at 47 seats in the Senate for the Democrats. The Democrats lost seats in the Senate dropping from 49 to 47. They landed right on the Bearish Reversal at 47 meaning it is not yet time to see their total collapse. We can see when we combine the seats in the House and Senate, the Democrats are in a long-term protracted bear market. Every rally results in fewer seats than the previous with each new low making a new lower low. Just a technical market perspective reveals that the Democrats are really in trouble. They may think they need to oppose everything that Trump says or does. All that is showing is they are incapable of providing any leadership themselves. Appointing Ocasio-Cortez and Waters to the House Financial Services Committee will get them the publicity with wild statements. However, they will end up being even more crazy than Trump who is known for some of his off-the-wall zingers.